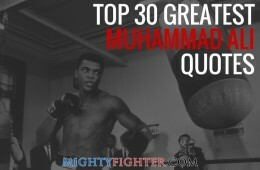 It’s essential that you get the right heavy punching bag, especially if you punch hard and often. 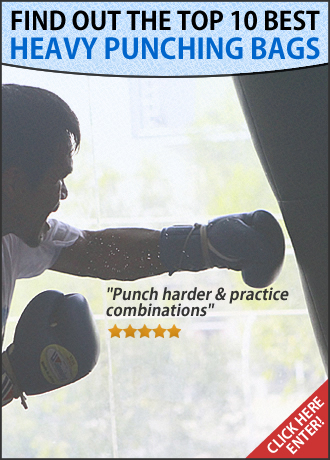 It’s where you can practice your boxing technique and combinations. 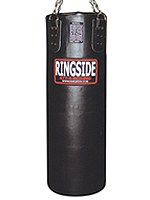 Even if you don’t compete as an amateur or professional fighter, a quality heavy punching bag ensures that you will get a great work out and blow off some steam. 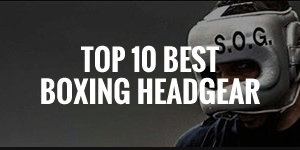 I’ve compiled a list of the top 10 best heavy punching bags (this is for hanging bags only, click here for the best free standing heavy bags) and more information on each heavy punching bag. Weight & Size 100 lbs - 14" x 55" 80 lbs - 14" x 55" • 140 lbs - 13" x 36"
• 160 lbs - 15.5" X 36"
• 180 lbs - 15.5" X 46" 100 lbs - 14" x 14" x 42" • 60 lbs - 13" x 40"
Here are the first 5 heavy punching bags in more detail. 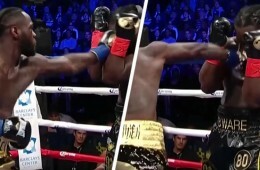 The general rule of thumb is the weight of a heavy punching bag should be around half your body weight. 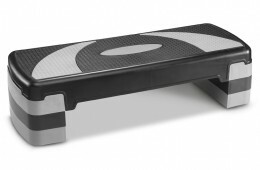 Of course, you can always opt for a higher weight if you prefer extra stability regardless of how much you weigh. 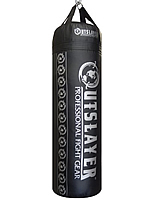 Outslayer is an American based manufacturer of boxing and martial arts equipment and the quality of their products are undoubtedly top notch. It arrives in a zip-up vinyl cover that is handy for transportation of the bag itself, which is heavy (extra weight can be added), well stitched and is stuffed with cloth fabric to provide greater impact resistance. 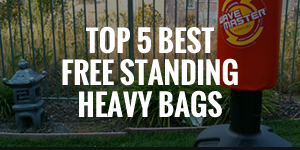 You’ll also find no soft or hard spots as is the case with many cheaper heavy bags. 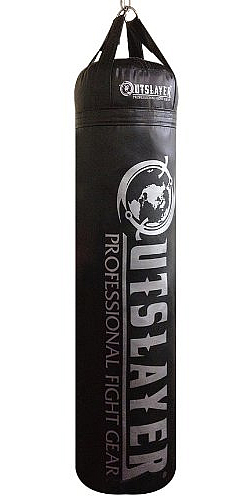 You can expect the same features as the 100 lbs version with the 80 lbs Outslayer heavy bag. 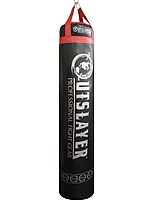 Its quality and construction is matched, with the main differences (aside from the weight) being the Outslayer logo being repeated down the side of the bag, and also the height of the bag being around 4 ft. compared to the 100 lbs version being around 4 ft. 7”. 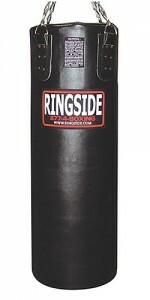 Ringside have been around a long time, being recognized as one of the leading brands for boxing gear. 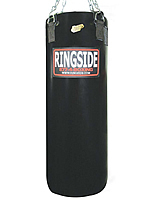 Their 100 lb heavy bag is evidently sturdy with its large leather straps which are sewn down by cross stitching and metal rivets, which supports the D-ring and hanging chains. 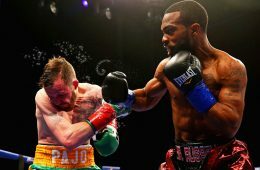 The 2” layer of IMF Tech injected foam provides a soft surface when hitting the bag, which does two things – Protects your joints from unnecessary shock upon impact, and the feeling of hitting a human body. You can also choose from the classic all-black or red colors. 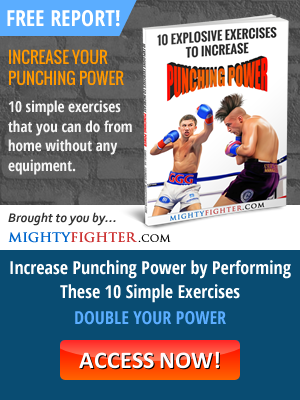 If you’re above the middleweight (160 lbs) limit and you have good punching power, then you’ll probably want to get something that can take a lot of punishment without swinging around too much. 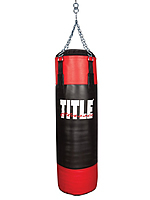 The TITLE leather classic heavy bag can be your companion. It features a massive 18” x 48” frame, an all leather construction, stitched and riveted straps which supports the included upper D-rings, chain and swivel. 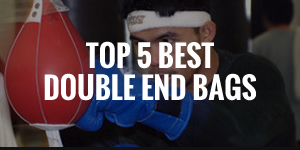 There’s also an included D-ring at the bottom of the bag to tie down the heavy bag. Technically advanced high frequency welded TPU urethane bladder (which holds the water) is designed to withstand a decade of constant punishment. 3 inches of high density shock absorbing foam covers the bladder. Heavy duty vinyl coated poly canvas outer shell so that it’s extremely resistant against tears. Cross poly propylene webbing reinforcement at the base and hanging straps. Comes with 10 year warranty on the bladder. 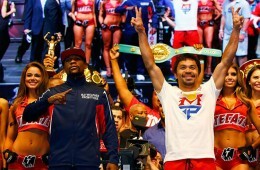 Title is one of the main innovators when it comes to boxing equipment. 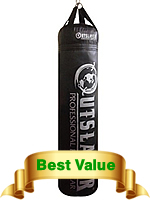 Their exclusive LiquiShock Foam & Water Heavy Bag takes heavy bag training to another level. 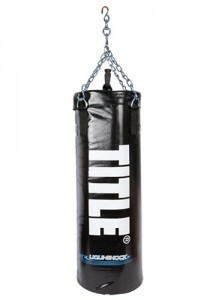 It’s high density foam and container water is designed to have a life-like feel when striking the bag. The fact that there’s a 10 year warranty on the bladder that contains the water means that Title has faith in the durability of their heavy bag. 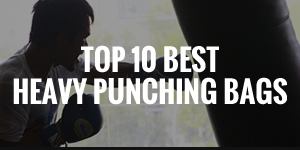 Below are heavy punching bags that are either not within the top 5 on my list, or have completed been pushed out of the top 10 chart. 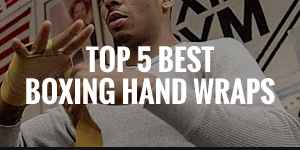 That’s not to say that they’re not good, it’s just because there are newer models that are better, or they’ve been discontinued. Either way, many of them are still worth a look at so feel free to check them out. Poly canvas shell is tough and rugged. Double end attachment to attach the bag to the floor for greater stability. 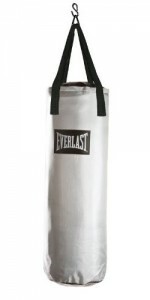 If you’re looking for a good value heavy punching bag that’s not too heavy but yet, not too light, the Everlast Poly Canvas Heavy Bag is a good choice. Weighing in at 70 lbs, it’s ideal for someone weighing 120 – 160 lbs, as the bag will have a slight swing upon impact, but not too much. 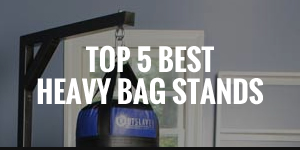 It’s a basic heavy bag that’s inexpensive. Polycanvas layer filled with closed cell foam technology (C3) for extra cushioning to provide resilience. Premium NEVATEAR™ with reinforced webbing gives increased durability. Heavy duty nylon straps with double end loops for security and functionality. 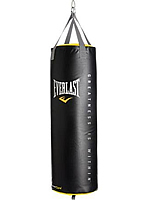 The Everlast C3 Foam Heavy Bag improves on their other lower-end heavy punching bags, simply by adding a C3 foam on the outer shell, rather than having foam on the inside which you see in some premium bags. This helps the bag to withstand the impact of blows and also to keep the inner bag contents from settling at the bottom, a common problem in many lower-end heavy bags. Nevatear synthetic leather outer shell provides the skin with toughness. Can be attached to the floor through bottom thread for greater stability. 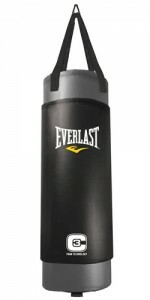 The Everlast 4008 Traditional Heavy Bag is a simple and classically designed heavy punching bag. It’s inexpensive and provides great value. 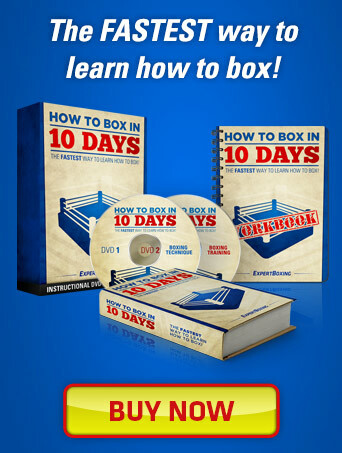 It’s ideal for people who weigh less than 170 lbs and like intense workouts where consistent and hard blows are involved. 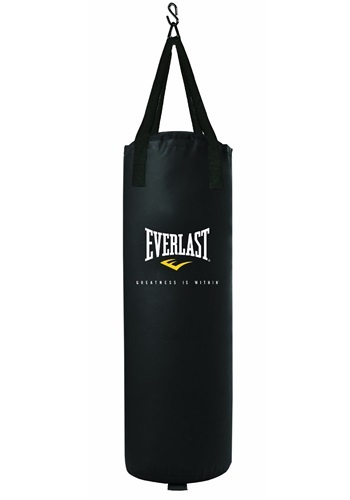 This is a simple heavy bag, ideal if you weigh less than 170 lbs and like intense workouts where you’ll be hitting the bag hard and consistent. 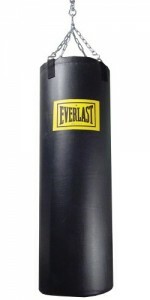 The Everlast Platinum Heavy Bag is by no means a premium heavy punching bag, as the name might lead some to believe, but rather an inexpensive one. It’s only named Platinum solely because of its color. 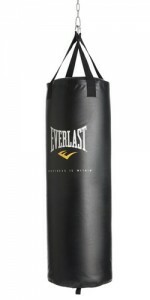 The Everlast 4004 Traditional Heavy Bag is exactly the same at their 4008 model, but weighing at 40 lbs instead of 80 lbs, and it’s only 30 inches tall. 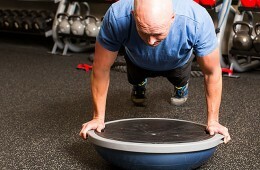 This makes it ideal for those who are under 140 lbs, or for someone that’s just looking for light workouts instead of intensive and constant heavy hitting (because it does swing quite a bit). Triple Layered Power-Skin cover ensures maximum durability and longevity. Specially blended poly-fiber filler provides resilient shock absorbency and maintains a firm, cylindrical shape for life. 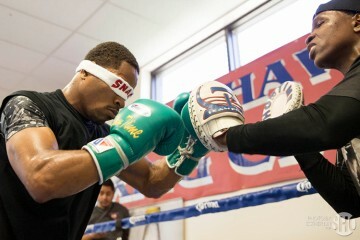 Tie-down D-ring on the bottom to secure the bag to the floor. Swivel chain top and metal clasps for extra durability and flexibility. 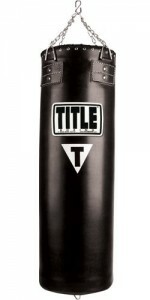 The Title Classic Banana Heavy Bag is designed for boxing and MMA. It incorporates a very long design (requires a high ceiling) that allows for low to mid to high level striking. Durable Synthetic Leather shell is triple layered and ensures the utmost resilience. Extra reinforced seams to ensure the bag can withstand great impact and still have a long lifespan. Comes with tie-down D-ring on bottom to secure the bag to the floor. Chain swivel allows for extra flexibility. 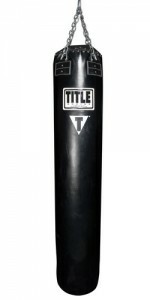 One of the most popular boxing bags is the Title Synthetic Leather Heavy Bag, which incorporates a classic design. You can see how sturdy the bag is just by looking at the reinforced seams that holds the hooks to the chain. Its synthetic leather shell looks and feels exactly like leather, and it’s triple layered which makes it very difficult to tear. Durable vinyl covers 3 inches of high density foam, which covers the water core. Plastic cylinder screw top opening makes it easy to fill with water. Inner foam and water is designed to give the sensation of hitting a live person. 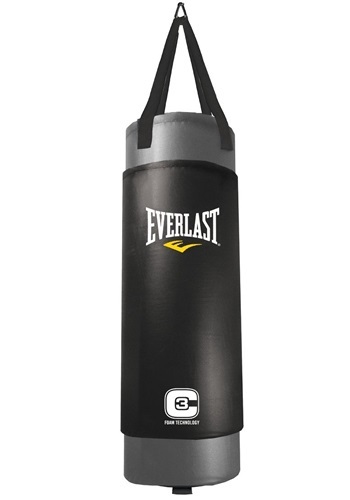 The innovative Century Original Hydrocore Wave Heavy Bag is designed to feel like you’re hitting a real person. It’s a simple design that’s very durable. The large plastic cylinder screw top comes off to reveal the heavy gauge plastic core, where the water is filled. Many users have said that because of the foam and moving water inside, it actually feels like you’re hitting a live person instead of dead weight. 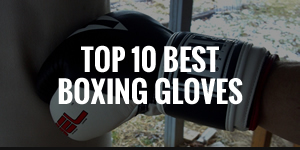 This results in a better feel upon striking the bag. 22oz. PVC coated vinyl outer shell for superb outer durability. Heavy gauge welded “D” rings that connects to the chains and provides excellent support for the bag. Powder-coated steel chain & swivel for extra flexibility. Double-end tie down design to secure the bag to the floor. Hydraulically filled for even weight distribution. 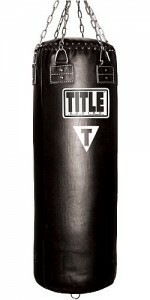 If you take your work outs seriously, or even if you just want the best quality bag, then I would highly recommend the TKO Vinyl Heavy Bag. 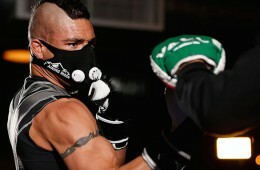 It’s constructed from the best materials, and crafted for long-lasting endurance and heavy hitters. 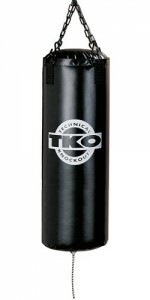 TKO are known for their sports equipment (started off solely as a boxing equipment manufacturer). They have very few heavy bags, but the ones they do have are great quality, so you can be sure that they will maintain its shape and weight consistency inside (inner contents won’t be distributed specifically to certain areas after prolonged use).